The symbols carved into stones commemorating the dead can reveal a lot about the deceased’s beliefs and philosophies, or at least those attributed to them by their families when they were buried. 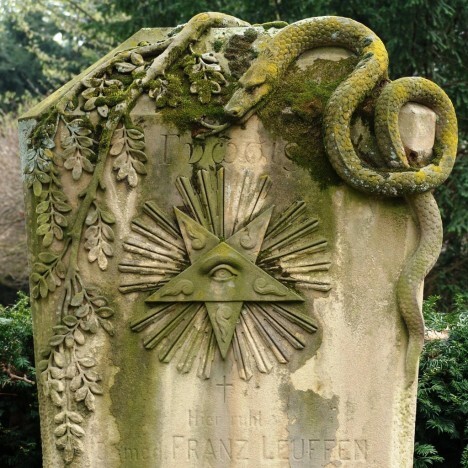 Grave symbolism ranges from well-known symbols of major religions to the arcane and complex, each one often containing layer after layer of hidden meaning known only to those initiated into certain organizations. 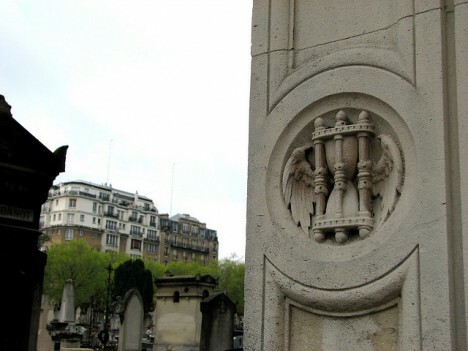 These 15 common symbols seen in cemeteries around the world are often meant to relay messages to those who are still living. The winged skull most often means a dead person’s journey is not over; after they’ve shed their physical form, they are flying away to another realm. In the United States, the ‘death’s head’ was initially a non-religious symbol simply used to denote a buried corpse, as the Puritans didn’t believe in using religious symbols on graves. 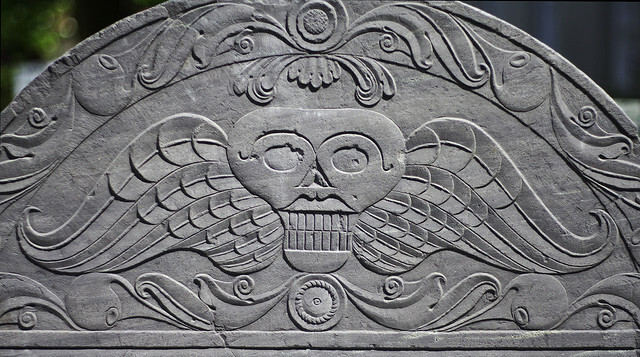 The particular style of the death’s head motif on older graves acted as a calling card for the carver. The serpent represents everlasting life, especially when seen in ‘ouroboros’ form, when it creates the shape of a circle with its own tail in its mouth. The snake cheats death by shedding its skin. The Orphic Egg (a snake wrapped around an egg) is an occult symbol representing the personification of light, the hermaphroditic Greek deity Phanes/Protogonus, who created the other gods. Two snakes wrapped around a winged staff (aka the caduceus) similarly represents the hermaphroditic god Hermes and has been incorrectly used by the healthcare industry as a symbol for medicine – mistaken for the rod of asclepius, which has only one snake and isn’t winged. The latter is often seen on graves of doctors. A snake wrapped around a cross can symbolize the Masonic brazen serpent, a symbol of the 25th Degree Masons, or foreshadowing of Christ’s crucifixion. 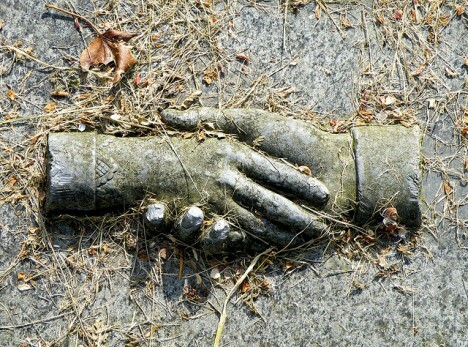 A loved one may be gone, but those they left behind often have hopes of seeing them again someday, as represented by clasping hands on a grave. 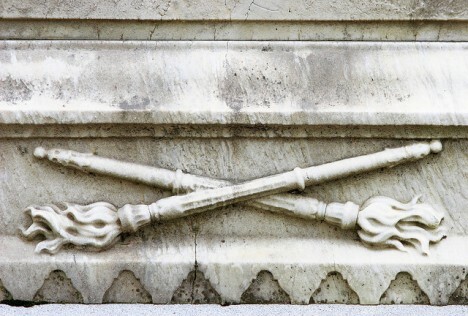 Symbolizing unity even after death, it’s often depicted on the shared graves of spouses. 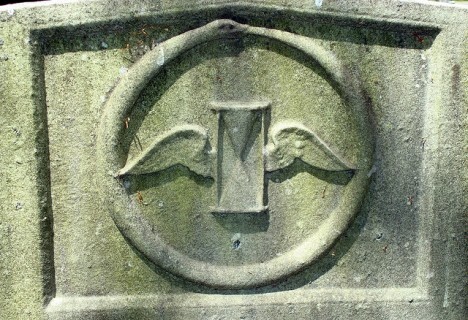 ‘Time flies’ and death comes too soon for many, as symbolized by an hourglass with wings. In the early 18th century, it wasn’t unusual for the dead to be buried with an actual hourglass to represent the sands of time having run out. 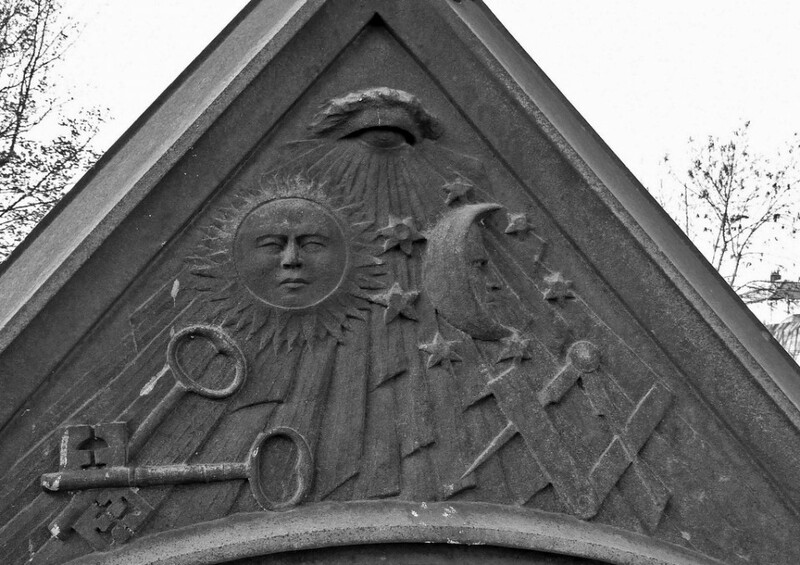 In Masonic symbolism, it’s often paired with the scythe, another emblem of how easy it is to sever the boundary between life and death. 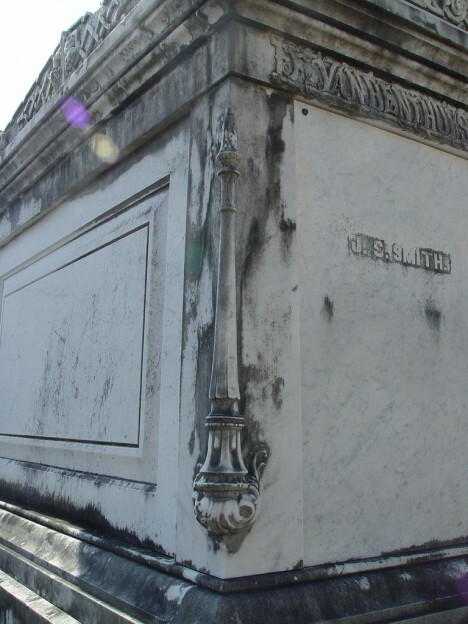 Inverting a torch would typically extinguish the flame, so when it’s seen on graves with the flames still burning, it represents eternal life.